Austin Cluetivity combines the best elements of a classic treasure hunt, GPS-Geocaching and Live-Escape-Games with Augmented Reality Technology into a new INDOOR team game that is played closed to the Texas State Captal. 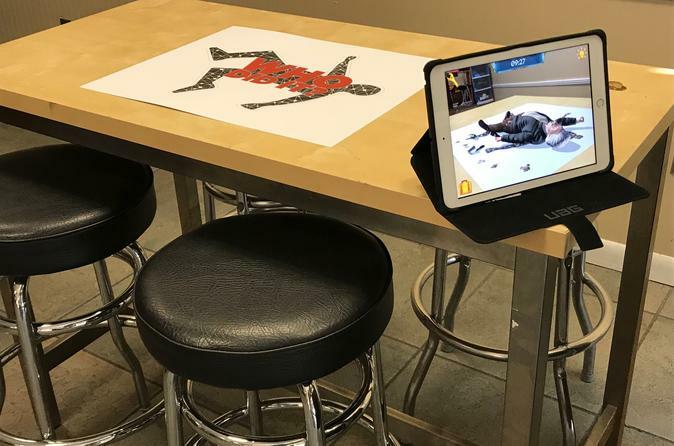 The basic game-play is simple: Use your iPad to analyze a virtual crime scene where you will use a chalked outline symbol of a body to see Einstein’s crime scene. The object is to guess from a list of options how Einstein died based upon the clues given in the game. In addition, play an AR game to unlock a magical chest by solving complex elements that will get an octopus to let go of the latches that are holding the chest closed.